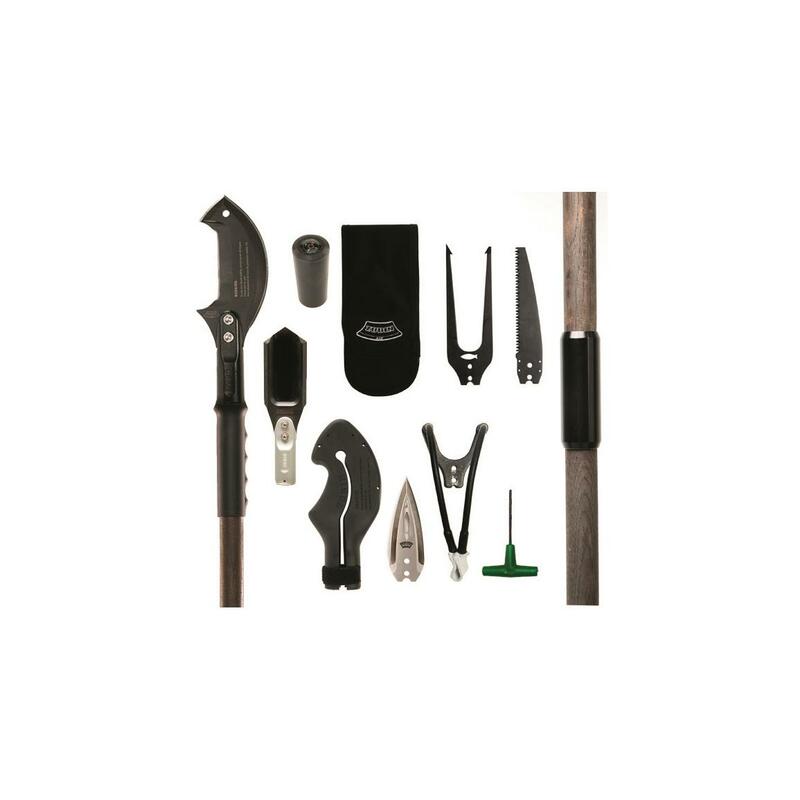 Durable 6-in-1 tool for outdoor adventures. 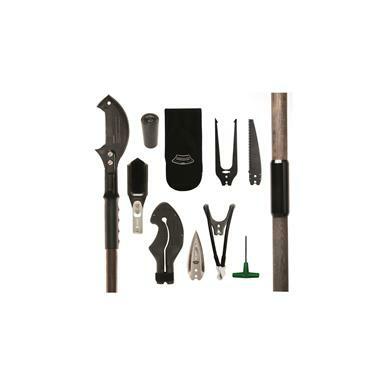 Whether you're prepping for doomsday or looking for a trusty hiking companion, this versatile Zubin Axe Complete Survival Kit will undoubtedly have your back. Its rugged, 2-piece, natural hickory staff features an ergonomic rubber grip and bolt-on system, allowing you to quickly swap out the axe for one of the 5 included survival tools. Plus, it comes with a compass that keeps you on the right track when you're navigating the Great Outdoors. Great for hiking, camping, survival situations and more. Compass attachment weight: 2.4 oz. Perfect form and function in a tactical edge.